Last week there was a coming soon note on Fiat India’s website about the launch of Fiat 500 Abarth. Today, Fiat has officially revealed the Fiat Abarth 595 Competizione on its Indian website fiat-india.com indicating that the launch shall happen anytime soon. When launched, Abarth 595 Competizione would be the first Abarth offering in India. Hot hatchbacks are great super cars. Cars like Abarth 595 has a great packing along with a good amount of punch and comes with great performance and provide an adrenaline rush like anything. With the powerful engines, small dimensions and balanced dynamics, Abarth hatchbacks could be used for daily commuting, and also adds the fun factor at the same time. As of now, Mini Cooper S is the only true hot hatchback in the country with a matching status as that of Abarth 595. 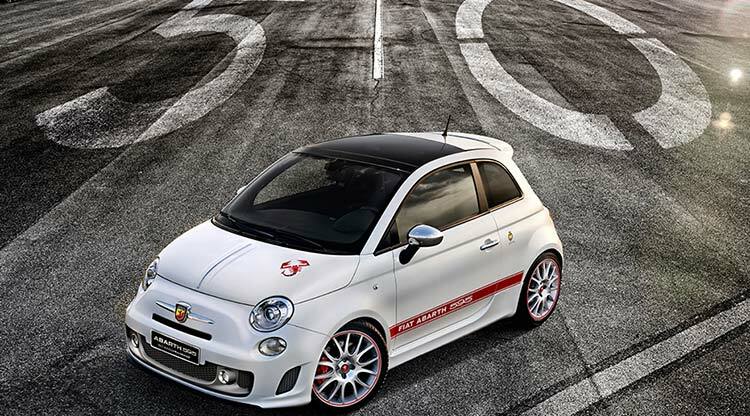 When Abarth 595, that could be a true game changer in Indian Luxury auto-segment. 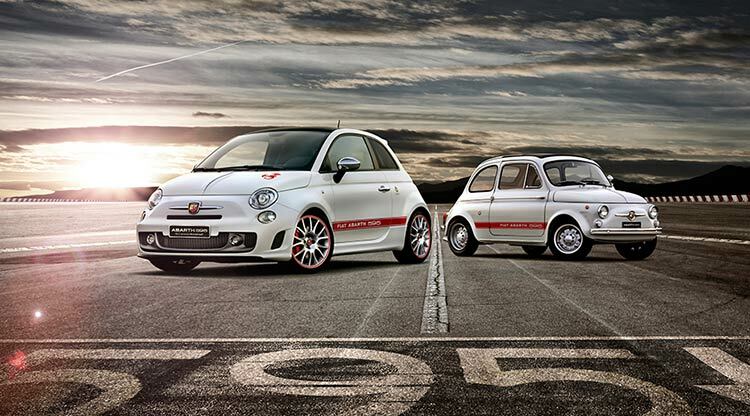 Fiat shall soon kickstart the Abarth brand in India. Initially Fiat would be launching the Abarth 595 Competizione through a exclusive dealership network based out of New Delhi, Bangalore, Chennai and Kolkata. Fiat India has updated the website with all the details on exclusive launch. Fiat Abarth 595 in India – What’s new? The car is lot different from standard Fiat 500 as it comes with interesting upgrades on top of it. There are also performance upgrades like larger brake discs and the 17 inch alloy wheels. 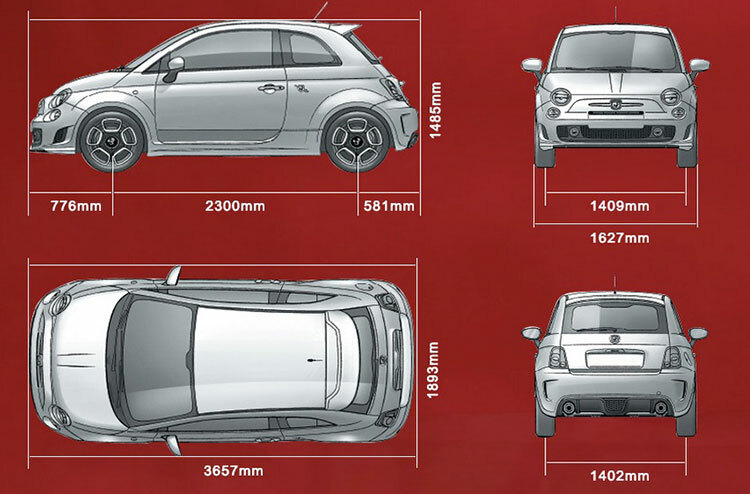 When it comes to the dimensions of Abarth 595, it is smaller than the Mini Cooper S. The length of Fiat Abarth measures 3657mm and the width is 1893mm and the height being 1485mm. The short wheelbase of the car would make it a great thing to drive, also low kerb weight of around 1075 kgs shall be giving an astonishing power to weight ratio. Recently, Fiat has announced that the 1.4-litre T-Jet engine powering the 595 shall be getting a 20 BHP power boost. There is no official word about the updated car getting 178 BHP of power or the older 160 BHP. The price of Fiat Abarth 595 Competizione is expected to be around Rs 33 Lakhs to 39 Lakhs in India (based on Mini Cooper S price).